Like with all cosmic events, even if Mercury has 3 retrograde periods a year, this one in particular, the last of this year, is not equal to any other. We already know that since this small planet takes 88 days to go around the Sun, 3 or 4 times a year, it aligns itself with the Earth, and from our vantage point it looks as if it turns back on itself, for a period of 3 weeks. Such motion is measured and is what we call the retrograde of Mercury. This particular time, it stations retrograde and begins its apparent backward motion at 2º of Scorpio on October 4 and goes back to the 16º of Libra, where it was on September 14th, therefore from that day until October 4, is what we call its pre-shadow period, which in many cases marks the beginning of the whole cycle. On October 11th re-enters Libra, and on that day, Venus, Libra’s and Taurus ruler,opposes Uranus in Aries. The Solar eclipse or new moon of October 23, three days before Mercury stations direct once again, is in 0 – 2 degrees of Scorpio, where Mercury first stationes retrograde. Where is this degree placed in your chart? If you have planets in those degrees, what aspects do they make? and with what other area of your chart it connects to? All these are issues to consider if you want to understand what this retrograde of Mercury may bring to your life. This cycle starts with the Sun in conjunction to Venus, in opposition to Uranus, and therefore, in square to Pluto, issues of how to feel free within a relationship, without breaking it, it is a possibility, the desire to escape from a relationship, it is another way of living this influence. Mars conjunct to Pholus, trines Jupiter and Lilith in Leo and Eris and Uranus in Aries, therefore this aspect also speaks of the possibility of freeing ourselves from a situation or a relationship which has fulfilled its purpose and it doesn’t not help us grow any longer. The lesson that nothing is forever, seems to be described by the Sun-Pluto square. Moon in Aquarius also forms a Trine to the Sun-Venus conjunction in Libra, which also speaks of the possibility of sorting things out in a more diplomatic manner, without too much emotional upheaval. The Moon Node in conjunction to Pallas in Libra, emphasizes the desire to solve the problems of personal relationships and regain the freedom within or outside of it. Chiron in square to Mars, is a particularly painful combination, as sometimes is necessary to express oneself firmly to achieve what one wants, and this aspect, confronts us with the inability to do so. In this case it is extremely important to find the reason why we are in the situation that we are, rather than feel we are victims of this. Someone said: “Things don’t happen TO us, they happen FOR us”. See what planets you have around 2° degrees of Scorpio, Taurus, Aquarius or Leo and have a look at what part of you, needs more observation and more contemplation. Mercury returns from a Water sign to an Air sign, simply looking from this vantage point, the message is clear. Perhaps what we need is to analyze the situation more mentally and rationally and less emotionally. If we removed emotions from the equation, would we see it in the same manner? Libra also teaches us to put ourselves in the place of the other, rather than judge them. Scorpio wants revenge and Libra wants to be fair be both parties. Ponder about this. 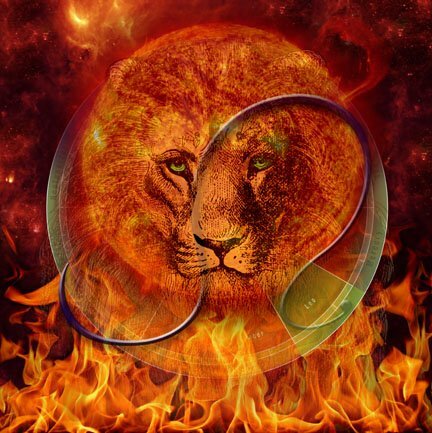 We are already at the New Moon in Leo of the year! After a month marked by the return to direct motion of Mercury in Gemini, but really completing its post shadow period in Cancer on its way to link with the Uranus-Pluto square, which we have been living through for the past 4 year. We are left with a new war on Israel-Palestine, military and passengers (M17) aircrafts shot down or lost, all of which remind us of the sign of Cancer and the need to defend our borders and our ‘home’? Theme that resonates and occur in other parts of the world as we all well know. We don’t seem to learn the lessons of the past, and dropping bombs on each other seems to be the only “no solution” to which we are still holding on to and each part with its well studied and heartfelt apologies for not sitting down to fix it in a more diplomatic and intelligent manner and exercise our “academic superiority” with respect to the other. What good does it do to progress both scientifically and academically if later we end up resorting to bombs? It’s very nice to write about the maternal qualities of Cancer, and the feeling of the water sings, but the reality of the passage of Jupiter through this sign for the past 12 months, and now with Mercury in Cancer (the voice of the people, our land), in opposition to Pluto (power struggles and death) in square to Uranus in Aries (liberation from what oppresses us) have left us with many deaths, cyclones and floods, many wars and more deaths. The Grand Cardinal cross of the beginning of the year is certainly making us aware more than ever of the abuse of the dominant classes, the fact that the rich are becoming richer and all the others increasingly poorer. As well as the fact that 80% of the world is poor and corrupt and that nobody seems to know how to fix this either. And now in a great effort not to sound negative, we have what should be this wonderful new moon in Leo, which peaks in conjunction to Jupiter (the great benefactor) recently established in this sign. But unfortunately, all of this links with a Mars just moved to Scorpio, today, after spending 8 months in Libra, which seemed to keep diplomatic efforts in action. Now the meetings of leaders eager to find a peaceful solution, will find the added tension between Leo (big egos) and Scorpio (revenge and death). The good news is that Saturn already about 17 degrees of Scorpio, forms a large trine to Mercury and Venus in Cancer and Neptune and Chiron in PISCES, which may somewhat counteract the high tension of the T-squares, but the large trine in Water, can be a little too “watery” in their efforts to find a solution to these conflicts. 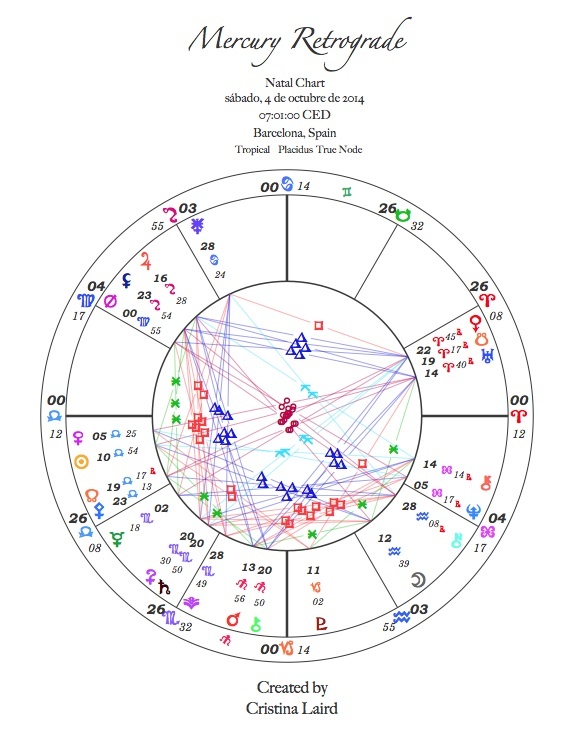 Venus in Cancer which also values the “home”, the “land of our ancestors”, opposes Pluto in Capricorn for this Lunation and of course connects with Uranus by square. Is there something good in all of this? You may ask, and Yes. The wonders of a new moon in Leo, in conjunction to Jupiter, is without doubt, the possibility of finding a way to express our uniqueness, the extraordinary quality that makes us different from the others, despite belonging to a particular group. What is that that your psyche and your soul need to express, completely apart from your family and cultural conditioning, or the characteristics of “the land” in which you’ve born. It is here where we have a chance of surviving this nationalistic or cultural whirlwind. Who AM I besides belonging to this family, breed or particular tribe?. should i let myself be dragged by the ideas of the tribe, even when my heart asks for something else? The nationalist ground has more to do with Cancer. In Leo, we want to explore who we really are, besides..(being part of a particular tribe). Which is the Mission of my soul, if any, which is my personal Fate?, separate from that of my tribe or what is expected of me, in the place of birth?. What are my own ideologies? Must I be Christian, Muslim, Jewish, hindu, just because my ancestors? We know that if we rise to the place where all souls come together, the realm that some shamans call the North, Christians Heaven, the Greeks and myself the Olympus or the Underworld, then these differences blur and gradually cease to exist. In the “great soul”, every child who dies is the son of all of us, every woman who dies is the sister, mother and daughter of all of us, every man that dies is the father, brother and husband of everyone. The religious, national and tribal differences seem a distant and sad reminder of a separation which in reality does not exist. The question could be, do we keep throwing bombs to each other because we are manipulated by an elite that wants to sell weapons or because in some dark corner of our psyche, we are still in the jungle and we must protect ourselves from other predators and survive above all? Last night I went to a creative event, which reminded me of the real importance of the message of the sign of Leo. In the mad rush of creativity, of connecting with what makes us unique, the importance of expressing it somehow, the risk that involves letting it out and sharing it with others and risking being criticizes, it is wonderful to watch the smile in the faces of the dancers, (in this particular case), at the end of the process, when after years, months or weeks of hard work and creativity, it is performed in what seems to be a second. When one realices that never mind how imperfect, or incomplete, whatever it came out, is part of you, to explore, to correct and perfect, to polish, or simply to share, to give to others who may or may not benefit from it. The Sharing is perhaps the most satisfactory part, when you see the reaction of others. Simply because sharing yourself is an act of Generosity, and Love and this is a supreme quality of the sign of LEO. Use the energies of this new moon, to connect with your heart and investigate what more you have to give, to share with others which can help you be proud to be who you are and the possibilities you have. Don’t do anything that you may be embarrassed or regret later. Even if you don’t paint or dance or play an instrument, every single action of your life, can be a choreography, a poem, a song. That’s Leo. Much has been written and is written on the retrograde motion of this small planet that takes 88 days to go around the Sun. Therefore in one year, goes around it about 4 times. This year its shadow period has started around on January 22 at about 18 ° Aquarius and it will station retrograde on February 6 at 3°PISCES 19′.It re-enters Aquarius on February 13 until March 1 when it stations direct once again, at 18º of Aquarius to re-enter PISCES on February 17. If you have planets in mutable signs (Gemini, Virgo, Sagittarius or PISCES) or at the end of the fixed signs (Taurus, Leo, Scorpio and Aquarius), around these degrees you can have fun, paying attention to what happens from now on. The retrograde Mercury, often drive us to RE-consider, RE-envision, RE-study, RE-think, RE-flex, RE-direct, Re-view, etc., any situation that we have in our hands and need our full attention. For example, if it contacts your planets in house II, or their Rulers, you might have to check up your Bank statements in search of some payments that you have made by mistake or that you haven’t done and still must do. If it aspects planets in or transits the House III, you might have to rethink your relationship with your siblings, or a neighbor, or some courses you must do or postpone some trips you’ve planned in advance. But of course, remember that it is not always negative, since it is also possible that you find a better solution for the situation, or someone from the past appears to give you a better idea. Many times computers malfunctions, internet is slow, mobile phones are lost, you may lose all your contacts and it is interesting to analyze, whether any of these things coincide with moments in our lives, when we need to disconnect. Free ourselves of excess of communication to be able to analyze a situation more cautiously. This time Mercury stations retrograde at 21 43 hrs GMT, and Barcelona and Central Europe at 22 43 hrs. The moon will be in Taurus, in its last quarter, thus forming a square to the Sun in Aquarius and completing the T-square is Saturn in Scorpio. Emotional issues with people in authority or those we have put in that position, are possible. Great opportunity for RE-vising these emotional issues that we carry from our childhood, in respect to our feelings towards our parents. The Sun in Aquarius inspires us to individuate, finally “cut the bond that unites us with those images of father we have from childhood”.In the Greek Myth of Cronos and Uranus when Saturn (Cronos)encouraged by his mother, cuts Urano’s testicles, who is actually his father and the God of Heaven, we understand that it is an act of absolute creativity and liberation from the paternal voice and power, and the result of it was, the birth of Venus, or of our true creativity and self-esteem, which as the myth indicates is only possible when we get divorced from the importance we give to the internal parental voice. Use this period to re-energize your plans, your projects, accept your limitations, to avoid disillusionment and emotional self-sabotage. Mars together with Vesta in Libra form a trine to Mercury at the time of its station, therefore it is necessary to analyze things more from mental stand point than from the emotional, in order to maintain the focus on what we are doing and a clear view in our capabilities. These are the ideal time to take things easy, learn to wait for the right time or Kairos, and that it must come from the depths of the soul, because only the souls knows how to recognize it. The best way to combat anxiety is to have more physical activity and …. if you dance, then…. dance and dance and dance! and take care of your soul, love yourself even when you don’t. Don’t forget that on my website:http://www.astrologiaarquetipica.com/private-readings/, you can buy a private consultation to find out how all of this affects you personally. Much has been written about the retrograde motion of this small planet that it takes about 88 days to go around the Sun. Therefore in one year it makes about 4 rounds to our star. We already know that this retrograde motion that occurs about 3 or 4 times a year, does not mean that Mercury actually recoils, but that it is an optical illusion, we see from the Earth, each time that Mercury passes between the Sun and the Earth and as a result of its faster motion around the Sun, than that of the Earth, which gives the impression of retreat, in degrees, for about 3 weeks. Since every time this happens, we pay attention to the events taking place in our lives and of those around us, we already know that a series of situations, that really have to do with communications, trade, proceedings of papers, etc, are affected, very often in a negative and also comical way each time that this phenomenon occurs. Now we have another opportunity to see what will happens when Mercury turns retrograde, since on November 6th, it stations retrograde at about 4 degrees of Sagittarius. 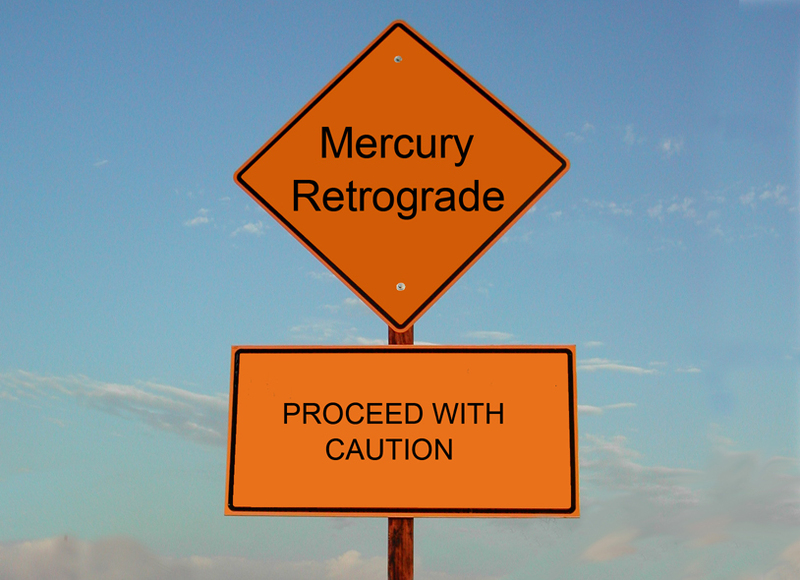 If you want to research on the events taking place during a Mercury retrograde, have a look in your chart what is being connected by this sign and degree, where Mercury stations retrograde . If you have planets in mutable signs (Gemini, Virgo, Sagittarius or PISCES)aroundthese grades you can pay attention to what is happening now. Same goes for Aries and Leo. This cosmic event, often prompt us to RE-consider, RE-envision, RE-study, RE-think, a situation we have in our hands and requires our full attention. For example, if it contacts your planets in the second house, or its ruler, you might have to check your Bank statements, in search of some payments you have made in the past. If it aspects planets or in your third house, you might have to rethink your relationship with your sisters and brothers, or a neighbor, studies or postpone any travel or public speech. But of course, it is not always negative, since it is also possible that by RE- thinking the situation, you find a better solution or someone from the past appears to give you a better idea. Often computers, mobile phones are lost or stop working and it is interesting to analyze, if it matches moments in our lives, when we need to disconnect. It may push us to analyze a situation more cautiously. 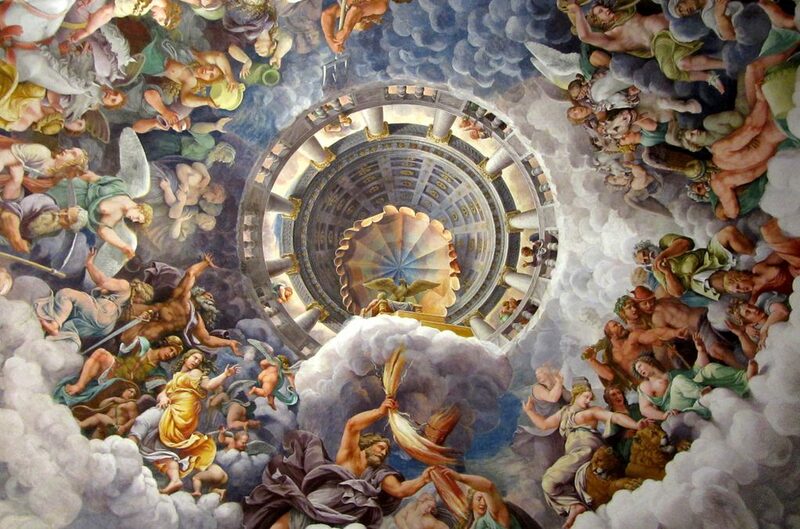 Whatever the story, what is true, is that only when Mercury finally resumes its direct motion, which will happen in this case, on November 26th, we’ll know what was the message of this retrograde of November. On the 14th, Mercury RE-enters Scorpio and reverses to the 18º of this sign and it will not return to 4º of Sagittarius, where it first stationed retrograde, until December 14th, therefore we may have to wait until then to see this period truly over. Sagittarius, represents our need for expansion to another mentality, to other lands, cultures, therefore has to do with long-distance travel, our contact with foreigners, or teachers who come from other abroad. Whereas, Scorpio, turns to the themes of shared finances, our debts, our most intimate relationships, our sexuality, our confrontation with death. This retrograde also coincides with the United States’ elections, and the political campaign that has been slowed down by the disasters caused by Hurricane Sandy, that certainly favoured Obama, in this race to return to the Government of this huge country for another 4 years. Certainly for victims of this terrible storms, not only in the USA but also in the rest of the countries, affected by this natural disasters that coincided with this powerful full moon of October 29, it may mean a delay in the expected assistance. Let us hope not. Do not forget to comment in this space on your adventures of this Mercury retrograde, so we can all benefit from it. 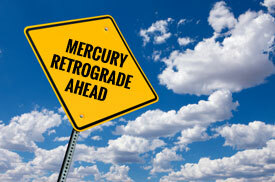 Good luck and happy Mercury retrograde!